I was in the mood for blue nails, so this is the combo I went with. The undies: Spoiled - First Class Only is a cobalt blue with a metallic finish that shimmers. 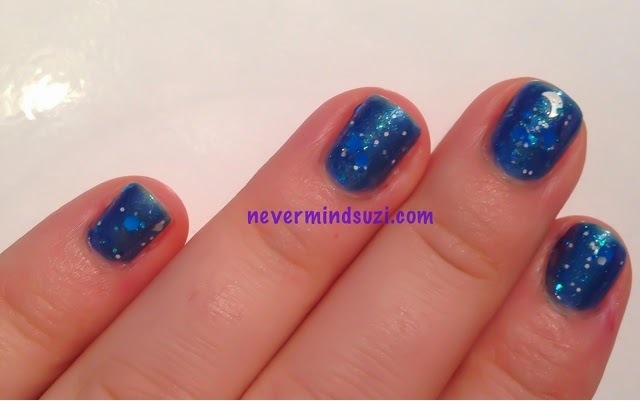 The topcoat: Daily Lacquer - Water Tribes is a clear base with an aqua shimmer, blue and white glitters, blue hexes and stars, plus white and blue moons. 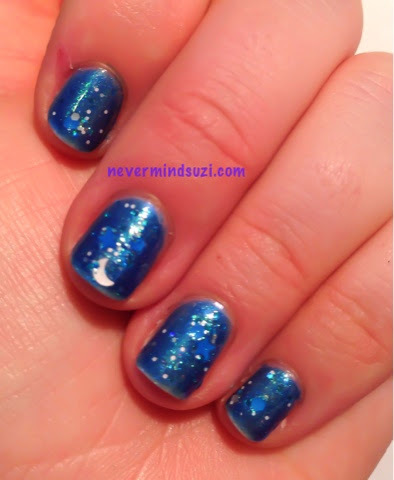 I used 2 coats of each polish and I love this mani, it's so sparkly. I love it!